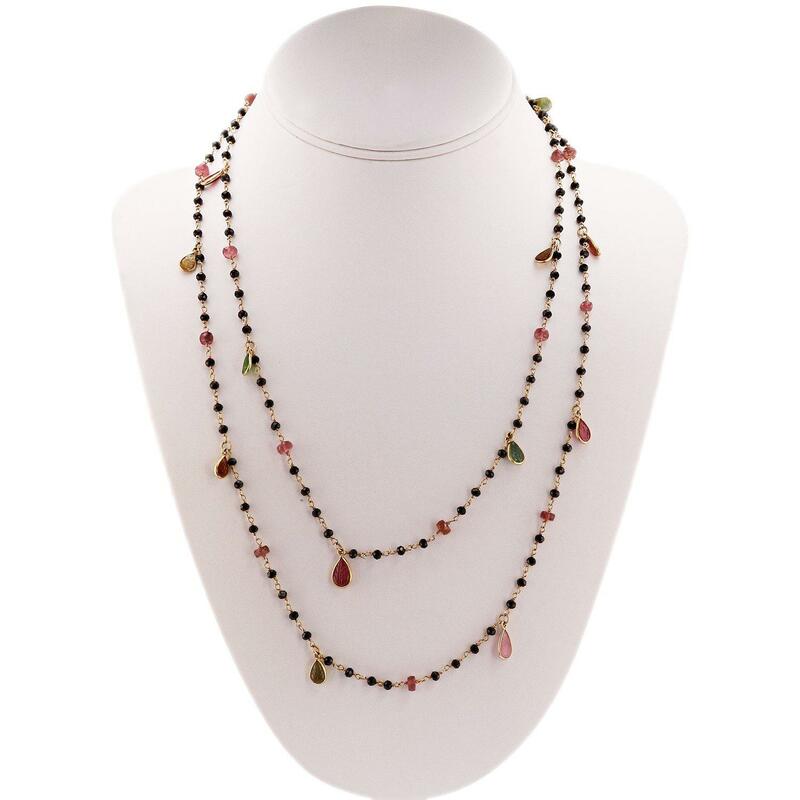 One electronically tested 925 silver ladies cast & assembled multi gemstone necklace. 44.5 inches Identified with markings of "925". Total Weight of Colored Stones 16.62 ct.